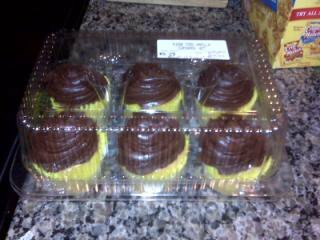 These yummy little cupcakes are the death of me. I ate 6 of them over the course of 4 days. 6!! I am thankful that we don’t have Publix’s in NC or I would really be in trouble. My sister bought some for me and I shoveled one down my piehole right when I got to her house (Tassie was going to be partying with her and Carter in Jacksonville). Then once we got to New Smyrna Beach 2 hours later, I enjoyed another with my almost 3 year old niece. Couldn’t have her eating alone, now could I? It was a long drive to Florida. We didn’t make it out of town until 6:30 on Thursday evening, and stopped in Hardeeville, SC 5 hours later. It was dark which was good since there isn’t anything to see in Hardeeville except for fast food chains, hotels and gas stations. Another 4 hours the next day with the dog drop off in Jacksonville and we were finally at the beach house! I went for a run and it was HOT. Figures NC had fantastic weather this weekend. I got in good heat training instead. Marty and I went for a flat, hot, ugly bike ride Saturday morning. I so appreciate living in our beautiful state, but never more so then when I ride my bike in FL. I felt good. Marty took a spill and now has some cool road rash on the right side of his body. Luckily, that’s all he got and nothing was broken or hurt (bike or Marty). However, I did not like watching him lose control and go down. I was the one who cried. We got in some beach time, family time, and a little more training time. It was a good weekend. The drive was long coming back yesterday, and Shana refilled the cupcakes for me and since I apparently have no self control, I ate 2 more yesterday. There is still 1 left. I think I’ll have that when I get home today. makes you wonder how many cupcakes grandma had to buy every week for us....or - how many did we really eat in a week!!! I love little simple updates. You probably thought you said very little, but I think you said a lot. Those Cupcakes DO look good. Hey, we all have a weakness. Glad you had a nice labor day weekend & got in some HOT training.. !! Yum yum!! Cupcakes! Hope you enjoyed that last one! Ahhhh, I miss Publix. Wish we had them up here.